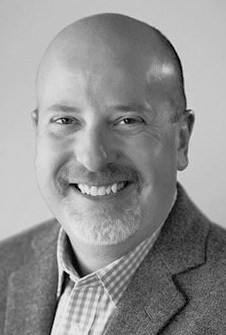 Matt Serlin is the former Chair of the ICANN Registrar's Constituency and is currently a member of the Expedited Policy Development Process (EPDP) team on the Temporary Specification for gTLD Registration Data. For the past several months, Matt has met at least 2 times each week with members of EPDP team. As a reminder, the EPDP team is comprised of 31 individuals representing various groups within the ICANN community including intellectual property interests, the governments who participate in ICANN, as well as the at-large users and contracted parties. The team is responsible for 1) identifying where there is consensus on the temporary specification, 2) preparing an initial report documenting where consensus exists, and 3) creating a final report detailing a model for access to non-public data. As we prepare to head off to Barcelona to attend ICANN63, I spoke with Matt about the current state of the process and what he hopes to accomplish at the meeting next week. Matt Serlin, former Chair of the ICANN Registrar's Constituency and currently a member of the Expedited Policy Development Process (EPDP)Q: Where are we in the current process? A: We are continuing to make good progress in many areas such as which data elements should be collected and the purposes for that collection. The group has worked to identify specific purposes tied to each data element for all of the parties in the ecosystem (registrar, registry, ICANN and third-party) — this has been a major undertaking. We will continue this exercise as part of the preliminary report which we hope to issue soon after ICANN63. Q: What concerns you most? A: First and foremost, my overarching concern is around the overall timing of this working group. This expedited policy development process has never been utilized, so this is all new territory and the timelines are extremely tight. This new policy must be completed and approved by the ICANN Board prior to the expiration of the temporary specification. The issue that continues to create consternation is the question of access to non-public data and what policy directives should be put forth to address that. I understand and appreciate the fact that we have been accustomed to unfettered public access to WHOIS information for over 20 years - and now we have a drastic change from that. However, it is the contracted parties (registries and registrars) which are subject to significant GDPR fines, so their hesitancy on the issue of access to this data is understandable. Hopefully we will be able to find some middle ground on this issue. A: The time commitment of those participating has been absolutely amazing if you think about the volume of calls, e-mails sent and documents created and reviewed. The structure of the team allows for main members, as well as alternates, and I know all of those participating are putting in a tremendous amount of work. I would be remiss if I did not also acknowledge the fantastic support the team is receiving from ICANN staff who are assigned to this working group. Their tireless efforts have put us in a position to be successful and whatever comes out of it at the end would not be possible without their support! Q: What do you hope to accomplish in Barcelona next week? A: The main objective for Barcelona is to continue to make progress towards issuing a preliminary report. That said, there are still many outstanding issues we need to tackle in order to submit that preliminary report. It will also be a good opportunity to gather input and feedback from the community about some of these more sensitive topics. Q: Are there any sessions next week that you would recommend people attend next week? A: Yes. There is an all-day EPDP meeting on Saturday, October 20th where members of the working group will be deliberating the entire day. If you really want to get a view into our work these past months, that will be the best opportunity to do so. There is also a High Interest session on the EPDP Monday, October, 22nd at 3:15 local time. There are several other sessions of interest as well and you can view the entire schedule here. Q: If people want to participate in this process, what is the best way to do it? A: Participation in the working group itself is not possible at this stage, but the reports the group issues will be published for public comment, and that is the best way to actively participate in the process. Participation with ICANN stakeholder groups or constituency groups is always a good way to contribute to the policy development process as well. While the EPDP will certainly take center stage at ICANN63, a number of other topics including the next round of new gTLDs and the review of Rights Protection Mechanisms will be covered as well. As always, both Matt and I will be in attendance, and we will share the highlights of the meeting when we return.